toyluxe has no other items for sale. 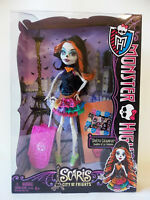 Details about Monster High SWIM CLASS Spectra Vondergeist Doll EXCLUSIVE Rare Beach Fashion !! Monster High SWIM CLASS Spectra Vondergeist Doll EXCLUSIVE Rare Beach Fashion ! !